On the same day that I journeyed out to eastern Long Island to enjoy birding Shinnecock Inlet in the fog I also explored the fields of Riverhead, where large flocks of geese congregate and where a Yellow-headed Blackbird had been reported recently amid a large flock of icterids at a Buffalo farm. 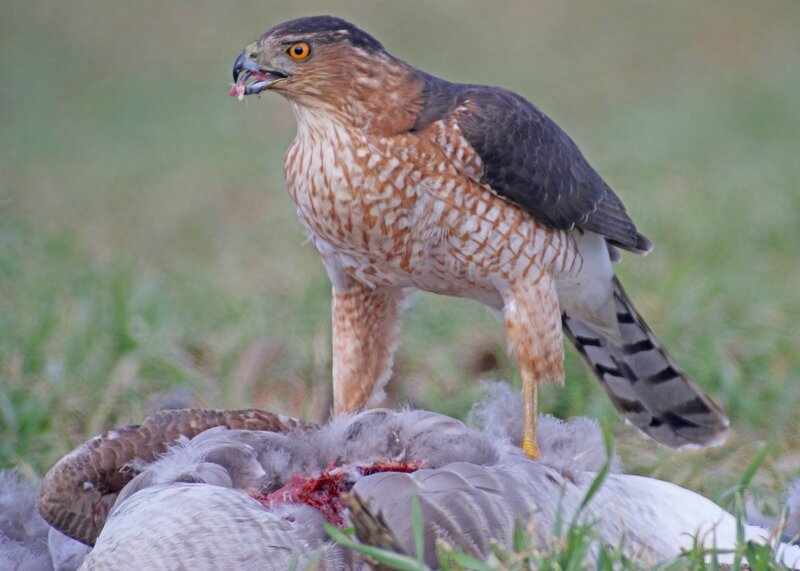 I had no luck finding any “good” geese or the blackbird, but I was fortunate enough to come upon a Cooper’s Hawk that had found a very big meal to enjoy, a road-killed Canada Goose. I pulled over across the road from the grisly scene, detached my spotting scope from from the tripod, hooked my camera to the scope, and started shooting. 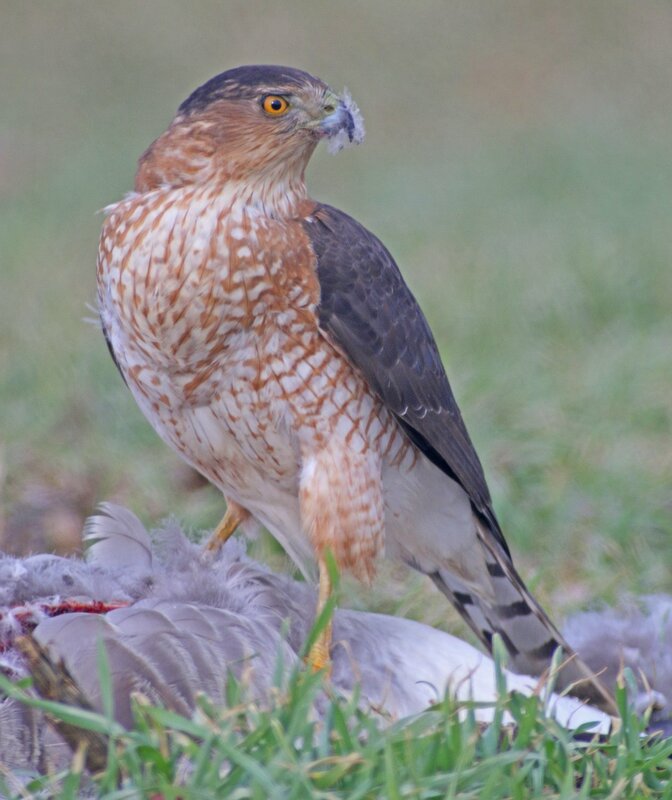 The hawk clearly cared neither about my presence nor that of cars whizzing past between us. 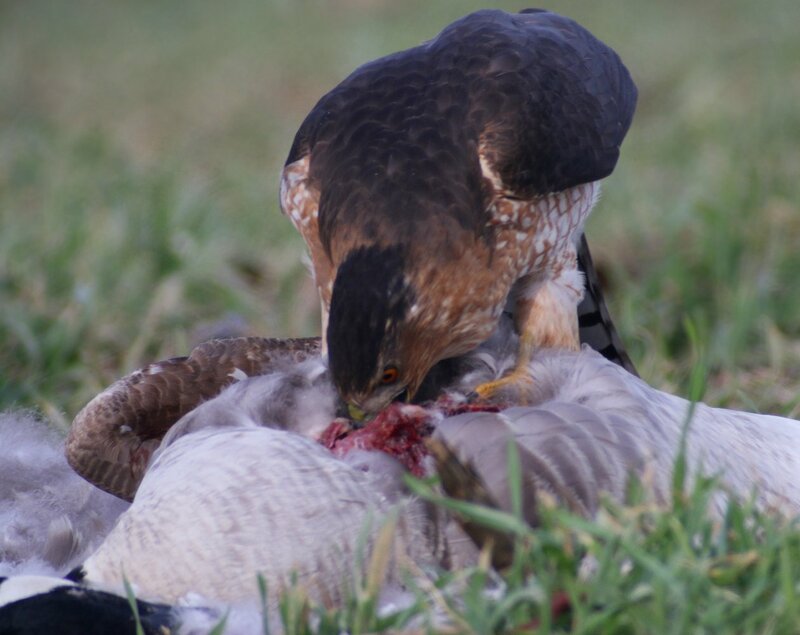 It was focused on one thing and that was filling its belly and crop with as much goose flesh as they could possibly hold. 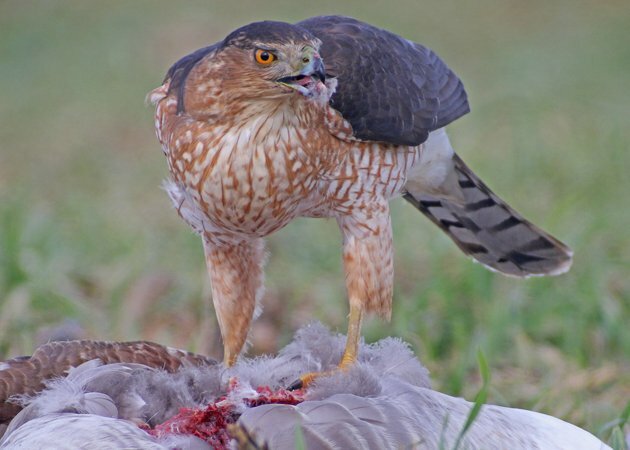 It was a great opportunity to watch a hawk at close range as it pulled feathers out its way, ripped off chunks of flesh, and paused occasionally to scan for threats. I stayed there for about half-an-hour and took over three hundred images and several videos. Unfortunately, the videos are shakier than I would like because of my lack of a window mount for my spotting scope, though I think the one below is relatively decent. 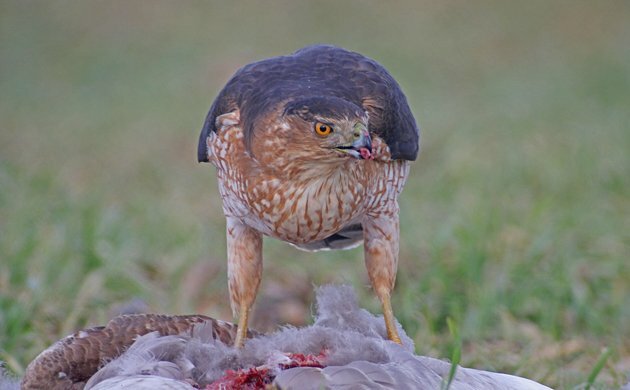 Mouthful after mouthful of goose was ripped free and swallowed. I love how much more cropping I can do because of the the file size of the photos with my new Canon EOS 70D. What a bird! 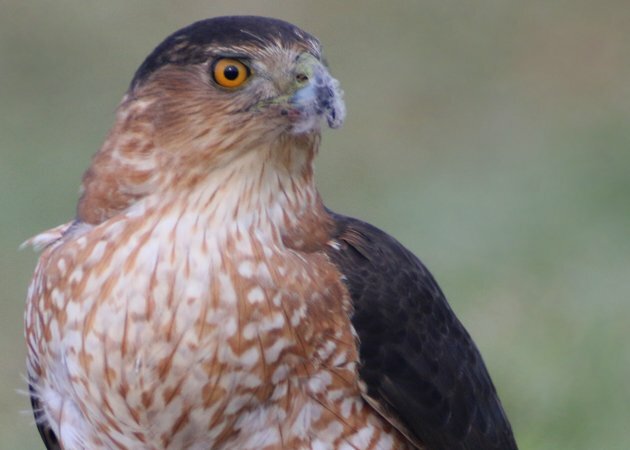 What a wonderful experience it was digiscoping it! Great photos. I pinned, tweeted, and scooped your post (see the scoop at http://scoop.it/t/ecoscifi. Awesome photos, and I laughed out loud at the comment under the sixth image!